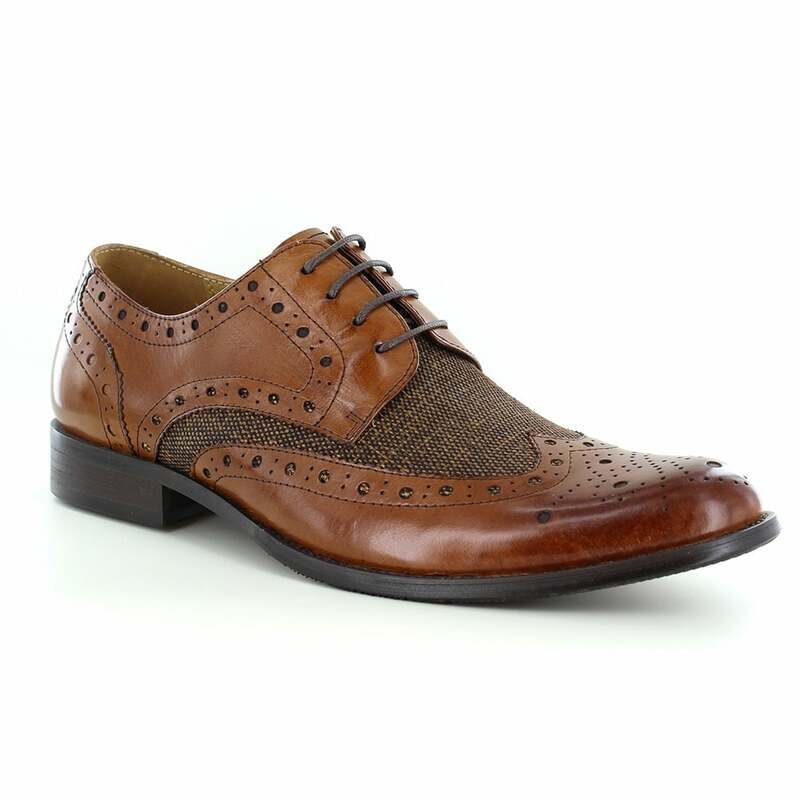 Part of the Scorpio Shoes 'Classic Collection', the Naughton - a superb quality, four-eyelet mens leather shoe from Paolo Vandini that looks equally good with jeans or more formal attire. The uppers of the Paolo Vandini Naughton are in a classic brown, soft premium leather with traditional brogue patterning and a tweed insert. Fastening the Naughton, there are four pairs of blind eyelets with rounded, down brown laces travelling up over a soft tongue with a hounds-tooth edge. Inside, the Naughton brogue is lined with coffee coloured leather, while for your comfort there is a lightly padded insole and shaped instep. A superb handcrafted mens leather brogue shoe by Paolo Vandini, the Naughton is a welcome and versatile addition to any man's wardrobe.